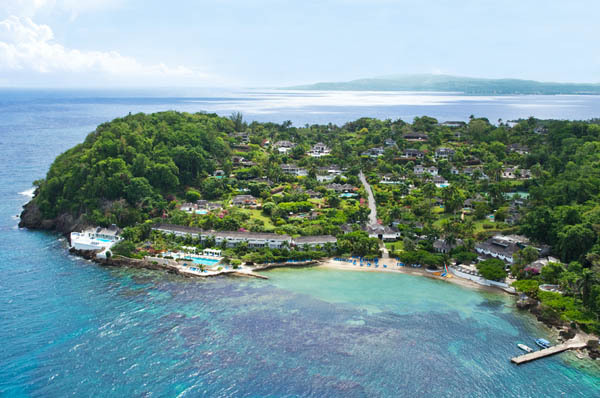 Round Hill Hotel and Villas is situated on a lush 110-acre peninsula just west of Montego Bay, Jamaica. 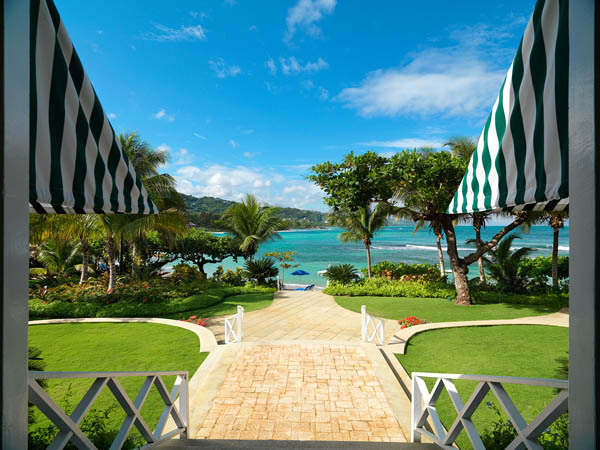 Boasting a guest list of world leaders, cultural icons and Hollywood A-listers, this classic resort continues to attract a jet-set from around the world who enjoy timeless glamour and understated luxury along with pristine natural beaches and the inimitable Caribbean waters. Accommodations include 36 Ralph Lauren-designed oceanfront guest rooms, 93 luxurious villa rooms and suites or a selection of 27 private 2 – 6 bedroom Villas – most with private pools. The Pineapple House oceanfront guestrooms evoke a feeling of tropical beach living and feature white stone floors, romantic four poster mahogany bamboo beds and sumptuous upholstered furniture with splashes of pink and blue. Each of the 27 villas is beautifully decorated by their individual owner, reflecting good taste, understated elegance with a relaxed, casual flare. Influenced by Ralph Lauren’s philosophy of letting nature be the primary focus; interiors are stylish, yet quite comfortable. Each villa boasts a laid-back, plantation-style residential ambience, featuring wicker, mahogany or bamboo furniture, four poster beds, oversized sofas with slip covers, wooden or tiled floors. Bedrooms and living rooms convey a delightful Caribbean vibe with gentle trade winds passing through. All villas are nestled into the private and lush hillside, facing west to take advantage of the dramatic sunsets over the crescent beach with expansive coastal views out to sea. Under the helm of Chef Martin Maginley, the open-air terrace dining and The Grill at Round Hill offer modern Caribbean cuisine-inspired menus showcasing the freshest ingredients sourced from the resort’s newly-expanded organic garden to create dishes such as the classic Oxtail Ravioli with Caribbean Lobster Ragout and Appleton Rum Cream Sauce. The resort practices a “farm to table” philosophy, sourcing most ingredients from local farms as well as the resort’s own hillside organic garden. 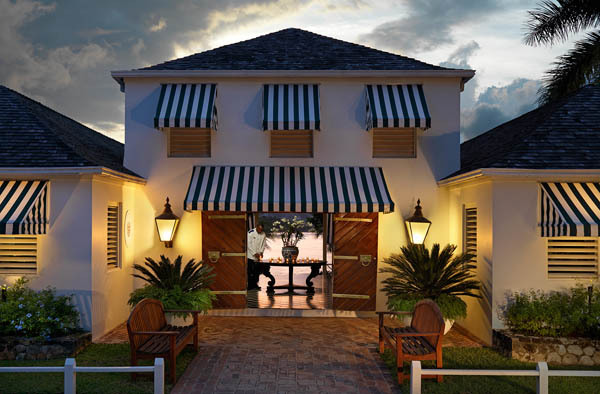 The resort also offers award-winning family programs, a double infinity edge pool, tennis courts, and an Elemis spa located in a beautifully-restored 18th century plantation house. Guests are also invited to try everything from snorkeling, kayaking, windsurfing and boating to sport fishing, scuba diving and water skiing. For more information, please visit roundhill.com or call 1-800-972-2159.